· 2013 Award Team Leader, Air Force Organizational Excellence Award for Air University C3 (Cost Conscious Culture), AFIT, Feb 2013. · 2013 Finalist, Jefferson Science Fellows Program, National Academy of Sciences, Feb 2013. · 2012 Distinguished Alumni Award, College of Engineering and Computer Science, University of Central Florida, Orlando, FL, March 22, 2012. · 2011 Federal Employee of the Year Award in the Managerial Category, International Public Management Association, Wright Patterson Air Force Base, May 5, 2011. · 2010 IIE/Joint Publishers Book-of-the-Year Award for “Handbook of Military Industrial Engineering,” Institute of Industrial Engineers. · 2009 Editor’s Choice Award for “The Physics of Soccer: Using math and science to improve your game,” iUniverse, Inc., November 2009. · 2009 Book-of-the-Month, “Handbook of Military Industrial Engineering,” IE Magazine, August 2009. · 2009 Blue Dart Award, Commander’s Academic Recognition, Air Education and Training Command, Maxwell Air Force Base, Montgomery, AL, May 22, 2009. · 2009 Recipient of Dayton Affiliate Society Council (ASC) Award for Outstanding Scientists and Engineers in the Education category with a commendation from the 128th Senate of Ohio. · 2009 Wellington Award, Institute of Industrial Engineers, Engineering Economy Division. · 2008 Edelman Award Laureate, Institute for Operations Research and Management Science (INFORMS), Baltimore, MD, April 14, 2008. · 2007 Book-of-the-Month Award for “Industrial Project Management,” IE Magazine, Institute of Industrial Engineers, December 2007. · 2007 Runner-Up Award, Supervisor of the Year Award sponsored by Federally Employed Women, Wright Patterson Air Force Base, November 2007. · 2006 Election to Fellow of Nigerian Academy of Engineering, June 2006. · 2004 UPS Achievement Award for Minority Advancement, Institute of Industrial Engineers in recognition of his national accomplishments in advancing women and minorities in Industrial Engineering profession. · 1999 Distinguished Alumni Award, Department of Industrial Engineering, Tennessee Technological University, Cookeville, Tennessee, April 1999. · 1998 Administrative Accomplishment Recognition from President of University of Oklahoma, April 98. · 1998 Distinguished Alumni Award, Saint Finbarr's College Alumni Association, Nigeria. Badiru, A. B. (1993), Managing Industrial Development Projects: A Project Management Approach, Van Nostrand/John Wiley, New York. Badiru, Deji, Kitchen Dynamics: The Rice Way, iUniverse, Bloomington, Indiana, USA, 2016. Badiru, Deji, Consumer Economics: Time Value of Dollars and Sense, iUniverse, Bloomington, Indiana, USA, 2015. Badiru, Deji, Youth Soccer Training Slides: A Math and Science Approach, iUniverse, Bloomington, Indiana, USA, 2014. Badiru, Deji, My Blue Book of Project Management: What, Where, When, Who, and How, iUniverse, Bloomington, Indiana, USA, 2014. Badiru, Deji, 8 by 3 Paradigm for Time Management: Balancing Work, Home, and Leisure, iUniverse, Bloomington, Indiana, USA, 2013. Badiru, Deji, Badiru’s Equation of Student Success: Intelligence, Common Sense, and Self-Discipline, iUniverse, Bloomington, Indiana, USA, 2013. Badiru, Iswat and Deji Badiru, Isi Cookbook: Collection of Easy Nigerian Recipes, iUniverse, Bloomington, Indiana, USA, 2013. Badiru, Deji and Iswat Badiru, Physics in the Nigerian Kitchen: The Science, the Art, and the Recipes, iUniverse, Bloomington, Indiana, USA, 2013. Badiru, Deji, Blessings of a Father: Education contributions of Father Slattery at Saint Finbarr’s College, iUniverse, Bloomington, Indiana, USA, 2013. Badiru, Deji, Getting things done through project management, iUniverse, Bloomington, Indiana, USA, 2009. Received citation in Business Week's Business Exchange/ITBusinessEdge for Business Process Improvement literature, September 22, 2009 (http://www.itbusinessedge.com/cm/docs/DOC-1650). Badiru, A. B., Blessings of a Father: A Tribute to the Life and Work of Reverend Father Denis J. Slattery, Heriz Designs and Prints, Lagos, Nigeria, 2005. Badiru, A. B. (2011), “Introduction to Half-Life Theory of Learning Curves,” in Jaber, M. editor, Learning Curves: Theory, Models, and Applications, CRC Press, Boca Raton, FL, pp. 129-161. Badiru, A. B. (2011), “Industrial Work Measurement through Multivariate Learning Curves” in Jaber, M. editor, Learning Curves: Theory, Models, and Applications, CRC Press, Boca Raton, FL, pp. 349-366. Badiru, A. B. and Anota Ijaduola (2009), “Half-Life Theory of Learning Curves,” in Handbook of Military Industrial Engineering, Badiru, A. B. and M. U. Thomas, Editors, CRC Press/Taylor and Francis, Boca Raton, FL, 2009, pp. 33-1 to 33-28. Badiru, A. B., “Critical Resource Diagramming and Work Rate Analysis,” in Handbook of Military Industrial Engineering, Badiru, A. B. and M. U. Thomas, Editors, CRC Press/Taylor and Francis, Boca Raton, FL, 2009, pp. 30-1 to 30-24. Badiru, A. B. and Charles H. Aikens, “Optimization Model for Military Budget Allocation and Capital Rationing,” in Handbook of Military Industrial Engineering, Badiru, A. B. and M. U. Thomas, Editors, CRC Press/Taylor and Francis, Boca Raton, FL, 2009, pp. 8-1 to 8-22. Badiru, A. B., “Hierarchical Dynamic Decision Making,” in Handbook of Military Industrial Engineering, Badiru, A. B. and M. U. Thomas, Editors, CRC Press/Taylor and Francis, Boca Raton, FL, 2009, pp. 24-1 to 24-12. Hudson, C. Randy and A. Badiru, “Energy Systems,” in Operations Research and Management Science Handbook, A. Ravi Ravindran, editor, CRC Press/Taylor and Francis, Boca Raton, FL, 2007, pp 19.1-19.29. Badiru, A. B., “Project Management,” in Operations Research and Management Science Handbook, A. Ravi Ravindran, editor, CRC Press/Taylor and Francis, FL, 2007, pp. 15.1-15.37. Sawhney, R.; A. B. Badiru; and A. Niranjan, “A Model for Integrating and Managing Resources for Technical Training Programs,” in Internet Economy: Opportunities and Challenges for Developed and Developing Regions of the World , Y. A. Hosni and Tarek M. Khalil, editors, Elsevier, Boston, MA, 2004, pp. 337-351. Badiru, A. B., “Engineering Professional Practice in the Context of a Developing Nation,” in Engineering Education, Research and Practice: A Festschrift in Honour of Professor I. O. Oladapo, V. O. S. Olunloyo, Editor, Univ of Lagos Press, Lagos, Nigeria, 2002, pp. 281-303. Milatovic, M.; A. Badiru; T. Trafalis, "Taxonomical Analysis of Project Activity Networks Using Competitive Artificial Neural Networks," in Intelligent Engineering Systems Through Artificial Neural Networks, Vol. 10, C. H. Dagli et al, Editors, ASME Press, New York, 2000, pp. 437-442. McCauley-Bell, Pamela; Lesia L. Crumpton-Young; and A. B. Badiru, "Techniques and Applications of Fuzzy Theory in Quantifying Risk Levels in Occupational Injuries and Illnesses," in Fuzzy Theory Systems: Techniques and Applications, Vol. 1, Cornelius Leondes, Editor, Academic Press, 1999, pp. 223-265. Badiru, A. B., "PERT," in Encyclopedia of Electrical and Electronics Engineering, Volume 16, John Webster, Editor, John Wiley & Sons, New York, 1999, pp. 126-143. Badiru, A. B., “Work Rate Analysis,” in Industrial Engineering Applications and Practice: Users’ Encyclopedia, Anil Mital, Editor, CD-ROM, International Journal of Industrial Engineering, ISBN 0-9654-506-0-0, 1999. Badiru, A. B., "Quality Improvement Through Learning Curve Analysis," in The Handbook of TQM, Christian Madu, Editor, Kluwer Academic Publishers, London, 1998, pp. 87-107. Peters, J. W. and A. B. Badiru, "Heuristic DSS Database Structure for Diagnostic Expert Systems," in Manufacturing Decision Support Systems, H. Parsaei, Editor, Chapman & Hall, London, 1997, pp. 111-143. Pulat, P. S. and A. B. Badiru, "Computer Simulation Approach to Hierarchical Dynamic Decision Making," Encyclopedia of Computer Science and Technology, Vol. 33, Allen Kent and James G. Williams, Editors, Marcel Dekker, New York, 1995, pp. 73-96. Badiru, A. B., "Resource Management," in Handbook of Design, Manufacturing and Automation, Richard C. Dorf and Andrew Kusiak, Editors, John Wiley & Sons, 1994, pp. 779-799. Badiru, A. B. and R. E. Schlegel, "Project Management in Computer-Integrated Manufacturing Implementation," in Organization and Management of Advanced Manufacturing, W. Karwowski and G. Salvendy, Editors, John Wiley & Sons, 1994, pp. 255-279. Badiru, A. B., "Project Management in the Adoption and Implementation of New Technologies," in Management of New Technologies for Global Competitiveness, Madu, Christian N., Editor, Quorum Books, Greenwood Publishing Company, Westport, Connecticut, 1993, pp. 165-182. Badiru, A. B., "The Role of Artificial Intelligence and Expert Systems in New Technologies," in Management of New Technologies for Global Competitiveness, Madu, Christian N., Editor, Quorum Books, Greenwood Publishing Company, Westport, Connecticut, 1993, pp. 301-317. Badiru, A. B., "Scheduling of Concurrent Manufacturing Projects," in Concurrent Engineering, Parsaei, H. R. and W. G. Sullivan, Eds, Chapman & Hall, London, 1993, pp. 93-109. Badiru, A. B., "Multivariate Learning Curve Model for Manufacturing Economic Analysis," in Economics of Advanced Manufacturing Systems, Parsaei, H. R. and Anil Mital Editors, Chapman & Hall, London, 1992, pp. 141-162. Badiru, A. B. and B. L. Foote, "Utility Based Justification of Advanced Manufacturing Technology," in Economic and Financial Justification of Advanced Manufacturing Technologies, Parsaei, H.; W. Sullivan; and T. Hanley, Editors, Elsevier Science Publishers, New York, 1992, pp. 189-207. Whitehouse, Gary E. and A. B. Badiru, "Recent Developments in Resource-Constrained Network Analysis," in Management of R&D and Engineering, Dundar F. Kocaoglu, Editor, Elsevier Science Publishers, New York, 1992, pp. 128-142. Foote, B. L.; A. Ravindran; A. Badiru, L. Leemis; and L. Williams, "An Application of Simulation and Network Analysis to Capacity Planning and Material Handling Systems at Tinker Air Force Base" in Excellence in Management Science Practice - A Readings Book, A. Assad, E. Wasil, and G. Lilien, eds., Prentice-Hall, 1992, pp. 349-362. Sundaram, Deepak and A. B. Badiru, "JUSTEX: An Expert System for the Justification of Advanced Manufacturing Technology," in Knowledge-Based Systems and Neural Networks: Techniques and Applications, Sharda, R. et al., Eds, Elsevier, New York, 1991, pp. 89-98. Badiru, A. B., "Achieving Systems Integration Through Project Management Techniques," in Guide to Systems Integration, Joe H. Mize, Editor, Industrial Engineering & Management Press, Norcross, GA, 1991, pp. 374-379. Badiru, A. B., "Strategic Planning for Automated Manufacturing: Some Factors and Dimensions," in Justification Methods for Computer Integrated Manufacturing Systems, Parsaei, H. R., T. L. Ward, and W. Karwowski, Eds, Elsevier, The Netherlands, 1990, pp. 17-39. Badiru, A. B., "Artificial Intelligence Applications in Manufacturing," in The Automated Factory Handbook: Technology and Management, Cleland, David I. and Bopaya Bidanda, Editors, , TAB Professional and Reference Books, New York, 1990, pp. 496-526. Badiru, A. B. and Gary E. Whitehouse, "Introduction to STARC: A Project Scheduling Package," in Simulation, IIE Press, Norcross, GA, 1988, pp. 117-123. Badiru, A. B., "Expert Systems and Industrial Engineers," in Expert Systems, Industrial Engineering & Management Press, Norcross, GA, 1988, pp. 26-30. Badiru, A. B. and Christian S. Bauer, "Stochastic Rate of Return Analysis on a Microcomputer," in Softcover Software, IIE Press, Norcross, GA, 1985, pp. 127-135. Badiru, A. B., "Process Capability Analysis on a Microcomputer," in Softcover Software, Industrial Engineering & Management Press, Norcross, Georgia, 1985, pp. 7-14. Badiru, Adedeji B. (2016), “Equity Breakeven Point: A Graphical and Tabulation Tool for Engineering Managers,” Engineering Management Journal, Vol 28, Issue 4, pp. 249-255. Badiru, Adedeji B. (2016), “Quality Insights: Visualizing the Cost of Quality Investment Using Equity Breakeven Point,” International Journal of Quality Engineering and Technology, Vol. 6, Nos 1/2, pp. 40-53. Bommer, S. C. and A. B. Badiru (2016), “Quality Insights: Impact of Cognitive Load on the Manufacturing Cost of Quality,” International Journal of Quality Engineering and Technology, Vol. 6, Nos 1/2, pp. 115-122. Badiru, Adedeji B., John Elshaw, and Ibrahim Ade Badiru (2015), “Quality Insights: Systems-based product quality assessment for customer preferences,” International Journal of Quality Engineering and Technology (IJQET), Vol. 5, No. 3/4, 2015, pp. 266-280. Badiru, Adedeji B. and Anna E. Maloney (2015), “Quality Insights: Measurement and Quality Rationing: An Analytical Approach,” International Journal of Quality Engineering and Technology (IJQET), Vol. 5, No. 2, 2015, pp. 178-188. Moore, Justin R., John J. Elshaw, Adedeji B. Badiru, and Jonathan D. Ritschel (2015), “Acquisition Challenge: The Importance of Incompressibility in Comparing Learning Curve Models,” Defense ARJ (Defense Acquisition Research Journal), Vol. 22, No. 4, pp. 416-449. Badiru, A. B. (2015), “Quality Insights: Learning, forgetting, and relearning quality: a half-life learning curve modeling approach,” International Journal of Quality Engineering and Technology, Vol. 5, No. 1, pp. 79-100. Badiru, A. B. (2014), “Quality Insights: The DEJI Model for Quality Design, Evaluation, Justification, and Integration,” International Journal of Quality Engineering and Technology, Vol. 4, No. 4, pp. 369-378. Badiru, A. B. (2014), “Quality Insights: Global Quality Research, Thoughts, and Perspectives,” International Journal of Quality Engineering and Technology, Vol. 4, No. 3, pp. 269-272. Badiru, A. B. (2014), “Adverse Impacts of Furlough Programs on Employee Work Rate and Organizational Productivity,” Defense ARJ (Defense Acquisition Research Journal), April 2014, Vol. 21 No. 2, pp. 595–624. Badiru, A. B., J. Elshaw, and M. Everly (2013), “Half-Life Learning Curve Computations for Airframe Life-Cycle Costing of Composite Manufacturing,” Journal of Aviation and Aerospace Perspectives, Fall 2013 – Vol. 3, No. 2, pp. 6-37. Badiru, A. B. and Marlin Thomas (2013): Quantification of the PICK Chart for Process Improvement Decisions, Journal of Enterprise Transformation, 3:1, 1-15, 2013. Badiru, A. B. (2012), “Application of the DEJI Model for Aerospace Product Integration,” Journal of Aviation and Aerospace Perspectives (JAAP), Vol. 2, No. 2, pp. 20-34, Fall 2012. Badiru, A. B. (2012), “Half-Life Learning Curves in the Defense Acquisition Lifecycle,” Defense Acquisition Research Journal, Vol. 19, No. 3, pp. 283-308, 2012. Wu, Teresa; Mengqi Hu; A. B. Badiru; and Som Soni (2012), “A Single Loop Deterministic Method for Reliability Based Design Optimization,” Engineering Optimization, published online, iFirst, July 2012, pp. 1-24. Badiru, A. B. and Rochelle R. Jones (2012), “Project Management for Executing Distance Education Programs,” Journal of Professional Issues in Engineering Education and Practice, Vol. 138, No. 3, July 2012, pp. 154-162. Badiru, A. B. and Rochelle R. Jones (2012), “A systems framework for distance learning in engineering graduate programs,” Systems Engineering, Vol. 15, Issue 2, 2012, pp. 191-202. Grimaila, Michael and A. B. Badiru (2011), “A Hybrid Dynamic Decision Making Methodology for Defensive Information Technology Contingency Measure Selection in the Presence of Cyber Threats,” Operational Research: An International Journal, Vol. 10, No. 3, Jan 2011, pp. 1-22. Wu, Teresa; Som Soni; Mengqi Hu; Fan Li; and A. Badiru (2011), "The application of Memetic Algorithms for Forearm Crutch Design: A Case Study," Mathematical Problems in Engineering, Vol. 2011, Paper ID 162580, pp. 1-14. Omitaomu, O. A., MK Jeong, and A. B. Badiru (2011), “Online Support Vector Regression With Varying Parameters for Time-Dependent Data,” IEEE Transactions on Systems, Man, and Cybernetics – Part A: Systems and Humans, Vol. 41, No. 1, Jan 2011, pp. 191-197. Badiru, A. B. (2010), “Half-life of Learning Curves for Information Technology Project Management,” International Journal of IT Project Management, 1(3), 28-45, July-September 2010. Badiru, A. B., Jeremy M. Slagley, and David A. Smith (2010), “Project Management Application for Engineering Program Accreditation Preparation,” Journal of Professional Issues in Engineering Education & Practice, Vol 136, No. 1, Jan 2010, pp. 39-47. Badiru, A. B. (2009), “Earning Value to Save Projects,” Value World, Vol. 32, No. 3, Fall 2009, pp. 15-22. Badiru, A. B. and Anota Ijaduola (2009), “Half-Life Theory of Learning Curves for System Performance Analysis,” IEEE Systems Journal, Vol. 3, No 2, June 2009, pp. 154-165. Badiru, A. B. and O. Ibidapo-Obe (2008), “On Set-Theoretic Fundamentals of Systems Integration,” African Journal Of Computing & ICT (Journal of the IEEE Nigeria Computer Chapter), Vol. 1, No. 2, December 2008, pp. 3-25. Thal, Alfred E.; A. B. Badiru; and R. Sawhney (2007), “Distributed Project Management for New Product Development,” Int. Journal of Electronic Business Management, Vol. 5, No. 2, 2007, pp. 93-104. Omitaomu, Olufemi A. and A. B. Badiru (2007), “Fuzzy Present Value Analysis Model for Evaluating Information System Projects,” Engineering Economist , Vol. 52, 2007, pp. 157-178. O. A. Omitaomu, M. K. Jeong, A. B. Badiru, and J. Wesley Hines (2007), “Online Support Vector Regression Approach for the Monitoring of Motor Shaft Misalignment and Feedwater Flow Rate,” IEEE Transactions on Systems, Man, and Cybernetics: Part C, Vol. 37, No. 5, 2007, pp. 962-970. Jeong, M. K.; O. A. Omitaomu; A. B. Badiru; W. Hines (2006), “On-Line Prediction of Motor Shaft Misalignment Using Fourier-Transformed Power Spectrum Data and Support Vector Regression,” Journal of Manufacturing Science and Engineering, Vol. 128, Issue 4, 2006, pp. 1019-1024. Badiru, A. B.; O. A. Omitaomu; and A. S. Asaolu (2005), “Eyewitness Information Management System Using Neuro-Fuzzy Classification Schemes,” Journal of Information Science & Technology, Vol. 2, No. 3, 2005, pp. 49-64. Yang, Byoung-Hak, A. Badiru, and Sirisha Saripalli, “A Facility Resource Scheduling for Two-Stage Supply Chain,” Journal of the Korean Institute of Plant Engineering, Vol. 10, No. 1, 2005, pp. 67-78. Omitaomu, Olufemi A.; Levi Smith; and A. B. Badiru, “The ENGINeering Economic Analysis (ENGINEA) Software: Enhancing Teaching and Application of Economic Analysis Techniques,” Computers in Education Journal, Vol.15, No. 4, 2005, pp. 32-38. Hudson, C. Randy and A. B. Badiru, “Use of Time-Aggregated Data in Economic Screening Analyses of Combined Heat and Power Systems,” Cogeneration and Distributed Generation Journal, Vol 19, No. 3, 2004, pp. 7-19. Olunloyo, V. O. S., Abayomi Ajofoyinbo, and A. B. Badiru, “Neurofuzzy Mathematical Model for Monitoring Flow Parameters of Natural Gas,” Applied Mathematics and Computation, Vol. 149, Issue 3, 2004, Pages 747-770. Milatovic, M. and A. B. Badiru, “Applied Mathematics Modeling of Intelligent Mapping and Scheduling of Interdependent and Multifunctional Project Resources,” Applied Mathematics and Computation, Vol. 149, Issue 3, 2004, pp. 703-721. Badiru, A. B. and H. Olufemi Omitaomu, “Design and Analysis of Tent Cash Flow Models for Engineering Economy Lectures,” Engineering Economist, Vol. 48, No. 4, 2003, pp. 363-374. Asaolu, O. S.; Ibidapo-Obe, O.; and A. B. Badiru, "A New Method for the Numerical Solution of Simultaneous Nonlinear Equations," Applied Mathematics and Computation, Vol. 125, 2002, pp. 133-140. Ibidapo-Obe, O.; O. S. Asaolu; and A. B. Badiru, "Generalized Solutions of the Pursuit Problem in Three-Dimensional Euclidean Space," Applied Mathematics and Computation, Vol. 119, No. 1, 2001, pp. 35-45. Milatovic, M. and A. B. Badiru, "Control Sequence Generation in Multistage Fuzzy Control Systems for Design Process," AIEDAM (Artificial Intelligence for Engineering Design, Analysis, and Manufacturing), Vol. 15, 2001, pp. 81-87. Sieger, David; A. B. Badiru; and M. Milatovic (2000), "A Metric for Agility Measurement in Product Development," IIE Transactions, Vol. 32, pp. 637-645. Ibidapo-Obe, O.; O. S. Asaolu; and A. B. Badiru, "Optimal and Multicriteria Probabilistic Design of Homogeneous Beams," Engineering Design & Automation, Vol. 4, No. 3, 1998, pp. 335-341. Badiru, A. B.; M. Milatovic; and S. Vasilev, "Mathematical and Graphical Analysis of Investment Cash Flows," Engineering Valuation and Cost Analysis, Vol. 1, Issue 4, 1998, pp. 315-320. Milatovic, Milan and A. B. Badiru, "Fast Estimation of the Modal Position for Unimodally Distributed Data," Intelligent Data Analysis, Vol. 2, No. 1, Jan. 1998, On Line Journal, http://www-east.elsevier.com/ida/. Badiru, A. B. and D. B. Sieger, "Neural Network as a Simulation Metamodel in Economic Analysis of Risky Projects," European Journal of Operational Research, Vol. 105, 1998, pp. 130-142. Ibidapo-Obe, O.; F. O. Ogunwolu; and A. B. Badiru, "Simulation and Analysis of the Mass Transit Routes in Lagos, Nigeria," International Journal of Computer Applications in Technology, Vol. 10, No. 1-2, 1997, pp. 73-80. McCauley-Bell, Pam and A. B. Badiru, "Fuzzy Modeling and Analytic Hierarchy Processing - Means to Quantify Risk Levels Associated with Occupational Injuries -- Part II: The Development of a Fuzzy Rule-Based Model for the Prediction of Injury," IEEE Transactions on Fuzzy Systems, Vol. 4, No. 2, May 1996, pp. 132-138. McCauley-Bell, Pam and A. B. Badiru, "Fuzzy Modeling and Analytic Hierarchy Processing to Quantify Risk Levels Associated with Occupational Injuries -- Part I: The Development of Fuzzy Linguistic Risk Levels," IEEE Trans on Fuzzy Systems, Vol. 4, No. 2, May 1996, pp. 124-131. Badiru, A. B., "Simulation and Regression Metamodels of Activity Networks in Production Systems," International Journal in Computer Simulation, Vol. 6, No. 3, 1996, pp. 347-363. Badiru, A. B. and Alaa Arif, "Flexpert: Facility Layout Expert System Using Fuzzy Linguistic Relationship Codes," IIE Transactions, Vol. 28, No. 4, April 1996, pp. 295-308. Sieger, David B. and A. B. Badiru, "A Performance Parameter Model for Design Integration," Engineering Design and Automation, Vol. 1, No. 3, pp. 137-148, 1995. Al-Harkan, Ibrahim and A. B. Badiru, "Knowledge-Based Approach to Machine Sequencing," Engineering Design and Automation, Vol. 1, No. 1, Spring 1995, pp. 43-58. Badiru, A. B., "Incorporating Learning Curve Effects into Critical Resource Diagramming," Project Management Journal, Vol. 26, No. 2, June 1995, pp. 38-45. Ibidapo-Obe, O.; A. B. Alonge; and A. B. Badiru, "On Active Controls for a Biped Mechanism," Applied Mathematics and Computation, Vol. 69, 1995, pp. 159-183. Badiru, A. B., "Multivariate Analysis of the Effect of Learning and Forgetting on Product Quality," International Journal of Production Research, Vol. 33, No. 3, 1995, pp. 777-794. Badiru, A. B. and Vassilios Theodoracatos, "Analytical and Integrative Expert System Model for Design Project Management," Jnrl of Design and Manufacturing, Vol. 4, 1994, pp. 195-213. Badiru, A. B., "Multifactor Learning and Forgetting Models for Productivity and Performance Analysis," Int Journal of Human Factors in Manufacturing, Vol. 4, No. 1, 1994, pp. 37-54. Won the 1996 IIE Outstanding Publication Award. Badiru, A. B., "A New Computational Search Technique for AI Based on Cantor Set," Applied Mathematics and Computation, Vol. 55, 1993, pp. 255-274. Badiru, A. B., "Activity-Resource Assignments Using Critical Resource Diagramming," Project Management Journal, Vol. 24, No. 3, Sept. 1993, pp. 15-21. Badiru, A. B.; P. S. Pulat; and M. Kang, "DDM: Decision Support System For Hierarchical Dynamic Decision Making," Decision Support Systems, Vol. 10, No. 1, 1993, pp. 1-18. Badiru, A. B.; Bob Foote; and J. W. Peters, "A Case Study of Economic Justification of Expert Systems in Maintenance Operations," Engineering Economist, Vol. 38, No. 2, 1993, pp. 99-117. Won the 1994 Eugene L. Grant award for Best Paper in Vol 38 of Engineering Economist. Badiru, A. B., B. L. Foote, L. Leemis, A. Ravindran, and L. Williams, "Recovering from a Crisis at Tinker Air Force Base," PM Network, Vol. 7, No. 2, Feb. 1993, pp. 10-23. Sieger, David B. and A. B. Badiru, "An Artificial Neural Network Case Study: Prediction versus Classification in a Manufacturing Application," Computers and Industrial Engineering, Vol. 25, Nos. 1-4, March 1993, pp. 381-384. Sieger, David B. and A. B. Badiru, "Real-Time Integrated Model for Visual Perception and Fuzzy Control," Computers and Industrial Engineering, Vol. 23, Nos. 1-4, 1992, p. 355-358. Badiru, A. B. and Shivakumar Raman, "An Integrative Multiattribute Approach to Robot Selection," SME Transactions on Robotics Research, Vol. 2, 1992, pp. 717-752. Somasundaram, S. and A. B. Badiru, "Project Management for Successful Implementation of Continuous Quality Improvement," International Journal of Project Management, Vol. 10, No. 2, May 1992, pp. 89-101. Badiru, A. B., "Computational Survey of Univariate and Multivariate Learning Curve Models, IEEE Transactions on Engineering Management, Vol. 39, No. 2, May 1992, pp. 176-188. Badiru, A. B., "Manufacturing Cost Estimation: A Multivariate Learning Curve Approach," Journal of Manufacturing Systems, Vol. 10, No. 6, 1991, pp. 431-441. Badiru, A. B., "A Simulation Approach to PERT Network Analysis," Simulation, Vol. 57, No. 4, October 1991, pp. 245-255. Badiru, A. B., "STARC 2.0: An Improved PERT Network Simulation Tool," Computers & Industrial Engineering, Vol. 20, No. 3, 1991, pp. 389-400. Badiru, A. B., "Systems Integration for Total Quality Management," Engineering Management Journal, Vol. 2, No. 3, Sept. 1990, pp. 23-28. Leemis, L., A. B. Badiru, B. L. Foote, and A. Ravindran, "Job Shop Configuration Optimization at Tinker Air Force Base," Simulation, Vol. 54, No. 6, June 1990, pp. 287-290. Ravindran, A.; Foote, B. L.; Badiru, A. B.; Leemis, L. M.; and Williams, Larry, "An Application of Simulation and Network Analysis to Capacity Planning and Material Handling Systems at Tinker Air Force Base," TIMS Interfaces, Vol. 19, No. 1, Jan.-Feb., 1989, pp. 102-115. Note: Recognized as one of the 20 best papers of the decade published in TIMS Interfaces. Badiru, A. B., "Successful Initiation of Expert Systems Projects," IEEE Transactions on Engineering Management, Vol. 35, No. 3, August 1988, pp. 186-190. Badiru, A. B., "Towards The Standardization of Performance Measures for Project Scheduling Heuristics," IEEE Trans on Engineering Management, Vol. 35, No. 2, May 1988, pp. 82-89. Badiru, A. B., "Cost-Integrated Network Planning Using Expert Systems," Project Management Journal, Vol. 19, No. 2, April 1988, pp. 59-62. Badiru, A. B., Janice Karasz, and Bob Holloway, "AREST: Armed Robbery Eidetic Suspect Typing Expert System," Journal of Police Science and Administration, Vol 16, No 3, Sept 1988, pp. 210-216. Ravindran, A.; B. Foote; A. Badiru; and L. Leemis, "Mechanized Material Handling Systems Design & Routing," Computers & Industrial Engineering, Vol. 14, No. 3, 1988, pp. 251-270. Badiru, A. B., "Expert Systems and Industrial Engineers: A Practical Guide for a Successful Partnership," Computers & Industrial Engineering, Vol. 14, No. 1, 1988, pp. 1-13. Badiru, A. B. (2016), “Space: An Engineering Frontier,” ASEE PRISM, October 2016, p. 56. Badiru, A. B., LeeAnn Racz, and Rofelio Grinston, “Coordinated Maintenance: Keeping aging aircraft flying is critical for national defense,” Industrial Engineer, Jan 2016, p. 46-49. Badiru, A. B. (2015), “A Recipe for Meeting Broader Global Societal Challenges: STEM Education for the Service member has benefits now and in the future,” Military Advanced Education & Transition,” Sept 2015, Vol. 10, Issue 7/8, pp. 15-17. Badiru, A. B. (2013), “Up to the Task: Industrial engineering is essential to meeting NAE's grand challenges,” Industrial Engineer, Vol. 45, No. 11, pp. 42-45, Nov2013. Badiru, A. B., “The Intersection of Sports and STEM,” New York Academy of Sciences Magazine, Sept 2012, p. 3. Badiru, A. B., “EUROMATICS: Economic Challenges and Opportunities,” Industrial Engineer, July 2012, p. 45-48. Badiru, A. B., “A Systems View of Military Operations,” Industrial Engineer, May 2012, p. 26. Badiru, A. B., “Having a Ball: How can engineers engage the K-12 generation in STEM? Think sports,” ASEE PRISM magazine, April 2012, p. 52. Badiru, A. B., “The Many Languages of Sustainability,” Industrial Engineer, Nov 2010, pp. 31-34. Badiru, A. B., “Soccer Ball Path Optimization,” OR/MS Today, April 2010, p. 58. Badiru, A. B., “Global Situational Awareness using Project Management,” Industrial Engineer, November 2009, pp. 22-26. The article was selected for Front Cover Feature. Badiru, A. B., “Twin Fates: Partnerships will keep manufacturers’ doors open,” Industrial Engineer, March 2009, pp. 40-44. Badiru, A. B., “Publish and Flourish: A New Paradigm for OR/MS Faculty,” OR/MS Today, February 2008, pp. 18-19. Badiru, A. B., “New Power Generation: Energy Requirements Planning Must Drive Future Product Development,” Industrial Engineer, September 2008, pp. 36-40. Badiru, A. B., “An IE’s Guide to NAFTA,” Industrial Engineer, July 2008, pp. 30-34. Badiru, A. B., “Long live work measurement,” Industrial Engineer, March 2008, p. 24. Badiru, A. B., “Smart Ops for the 21st Century,” OR/MS Today, Feb 2007, page 28. Badiru, A. B., “The Air Force Needs Us,” Industrial Engineer, February 2007, p. 22. Badiru, A. B, “What’s In A Name?,” Industrial Engineer, June 2007, page 10. Badiru, A. B., “Requiem for Beloved Software,” OR/MS Today, June 2006, p. 16. Badiru, A. B., “The Niche of Industrial Engineering,” Industrial Engineer, July 2003, p 26. Arif, Alaa and A. B. Badiru, "Facility Layout with Fuzzy Logic: Expert System Uses Fuzzy Linguistic Relationship Codes To Optimize Layout Design," Appliance Manufacturer Magazine, Vol. 44, No. 11, November 1996, pp. 44-47. Badiru, A. B., "NAFTA and IE: A Case for Mexico," Industrial Engineering, Vol. 26, No. 9, September 1994, pp. 14, 16. Badiru, A. B. and Herschel J. Baxi, "Industrial Engineering Education for the 21st Century," Industrial Engineering, Vol. 26, No. 7, July 1994, pp. 66-68. Badiru, A. B., "Critical Resource Diagram: A New Tool for Resource Management," Industrial Engineering, Vol. 24, No. 10, 1992, pp. 58-59, 65. Badiru, A. B. and Jacob Jen-Gwo Chen, “IEs Help Transform Industrial Productivity and Quality In Taiwan," Industrial Engineering, Vol. 24, No. 6, June 1992, pp. 53-55. Badiru, A. B., "An Academic-Industry Interface Could Expand The Recognition of Industrial Engineering," Industrial Engineering, Vol. 23, No. 5, May 1991, pp. 47-49. Badiru, A. B., "Analysis of Data Requirements for FMS Implementation is Crucial to Success," Industrial Engineering, Vol. 22, No. 10, Oct. 1990, pp. 29-32. Badiru, A. B., "Moscow Diary: Star is Rising for Industrial Engineering and Industrial Engineers," Industrial Engineering, Vol. 22, No. 8, August 1990, pp. 26-27. Badiru, A. B., "A Systems Approach to Total Quality Management," Industrial Engineering, Vol. 22, No. 3, March 1990, pp. 33-36. Badiru, A. B., "A Management Guide to Automation Cost Justification," Industrial Engineering, Vol. 22, No. 2, Feb. 1990, pp. 26-30. Badiru, A. B., "Graphic Evaluation of Amortization Schedules," Industrial Engineering, Vol. 20, No. 9, September 1988, pp. 18-22. Foote, B.; A. Ravindran; A. B. Badiru; L. Leemis; and L. Williams, "Simulation and Network Analysis Pay Off in Conveyor System Design," Industrial Engineering, Vol. 20, No. 6, June 1988, pp. 48-53. Badiru, A. B., "Training The IE For A Management Role," Industrial Engineering, Vol. 19, No. 12, December 1987, pp. 18-23. Badiru, A. B., Invited Distinguished Talk, “The Role of Industrial Engineers in Solving Global Societal Problems,” IEOM2016 (Industrial Engineering and Operations Management), Southfield, Michigan, 23 September 2016. Badiru, A. B., Invited Distinguished Lecture, “Industrial Engineering Education and NAE’s 14 Grand Challenges for Engineering,” University of Houston, Houston, Texas, Sept 2, 2016. Badiru, Adedeji B., invited keynote speech, “Providing Access to Success: Investing in our future through education, excellence, and opportunity,” Blacks in Government (BIG), Greater Dayton Chapter, annual banquet, Beavercreek, Ohio, 25 April 2015. Badiru, A. B. and Rochelle R. Jones (2014), “Effective Distance Learning Program Implementation Through Industry-University Collaboration,” Proceedings of the American Society for Engineering Management 2014 International Annual Conference, S. Long, E-H. Ng, and C. Downing, eds., Virginia Beach, VA, October 15-18, 2014. Som, Soni and A. B. Badiru (2014), “Advanced Composite Air Frame Life Cycle Cost Estimation Model,” 2014 Industrial Engineering and Operations Management Conference, Jan 7-9, 2014, Bali, Indonesia. Omitaomu, O. A. and A. B. Badiru (2013), “A Framework for Joint Monitoring of Energy Usage in DOD Buildings,” Poster Presentation, Defense Energy Summit, Nov 11-13, 2013, Austin, TX. Badiru, A. B. (2013), “A Conceptual Template for Product Technology Transfer Visualization Using 3D Printing,” 2013 Dayton Engineering Sciences Symposium (DESS 2013), Dayton, Ohio, Oct 29, 2013. Murley, D.J., A.E. Thal., Jr., L.J. Wyatt, T.W. Johannes, and A.B. Badiru (2013), “Development of a Cooling Load Model for Geospatial Analysis of Energy Efficient Technology in Austere Environments,” in Proceedings of 2013 Annual Conference of Industrial & Systems Engineering Research Conference, San Juan, Puerto Rico, May 18-23, 2013. Chun, W., P.P. Feng, A.E. Thal., Jr., and A.B. Badiru (2013), “Life-Cycle Assessment of LEED vs. Conventionally Constructed Residential Units,” in Proceedings of 2013 Annual Conference of Industrial & Systems Engineering Research Conference, San Juan, Puerto Rico, May 18-23, 2013. Badiru, A. B., “Having a Ball with Science: Leveraging Sports to Spark Interest in STEM Subjects,” Invited TechFest Workshop, Graham High School, St. Paris, OH, April 11, 2013. Badiru, A. B., “Creating a Better World through STEM Education: The Crucial Roles of Underrepresented Groups,” Invited Banquet Keynote , College of Science and Engineering, Central State University, Wilberforce, OH, April 9, 2013. Badiru, A. B., “Having a Ball with Science: Leveraging Sports for Science Education,” Workshop for K-12 Science Teachers, TechFest 2013, Dayton, OH, Feb 16, 2013. Badiru, A. B., “14 Grand Challenges and 2020 Skills for Engineers,” Panel Discussion Keynote, World Congress on Engineering Education (WCEE2013), Doha, Qatar, January 7-9, 2013. Badiru, A. B., “How to be a Part of the future STEM Workforce Development: Don’t Just Sit and Watch,” Invited Keynote, Undergraduate Students STEM Research Symposium, Wilberforce University, Sept 15, 2012. Badiru, A. B., “Social responsibility and educational advancement for the future generation,” Keynote Address, Saint Finbarr’s College – North America, Alumni Association Reunion, Atlanta, GA, Sept 1, 2012. Badiru, A. B., “Preparing Resume, CV, and Cover Letter IIE Doctoral Colloquium,” Invited Lecture, Industrial & Systems Engineering Research Conference, May 19, 2012, Orlando, Florida. Badiru, A. B., “Human Factors in Coordinated Emergency Response,” invited luncheon keynote speech, NNSA (National Nuclear Security Administration) workshop, Wilberforce University, 24 March 2012. Soni, Som R.; A. Al-Romaihi; J. R. Wirthlin; and A. B. Badiru (2012), "Reliability Aspects In Z-Pinned Co-Cured Composites", IEOM 2012 (Industrial & Operations Management) Conference, Ankara, Turkey, July 3-6, 2012. Badiru, A. B. (2012), “Quantitative Modeling for Military Operational Efficiency, Effectiveness, and Productivity Analysis,” in Proceedings of 2012 Annual Conference of Industrial & Systems Engineering Research Conference, Orlando, FL, May 19-23, 2012. Omitaomu, O. A. and A. B. Badiru (2012), “An Economic Evaluation Framework for Assessing Renewable Energy Projects,” in Proceedings of 2012 Annual Conference of Industrial & Systems Engineering Research Conference, Orlando, FL, May 19-23, 2012. Badiru, A. B. (2012), “Taking flight with science in sports,” presented at Dayton-Cincinnati Aerospace Science Symposium (DCASS2012), Dayton, OH, March 5, 2012. Soni, Som; A. B. Badiru; and Teresa Wu, “Process Improvement Example in Product Design of Durable Forearm Crutch,” International Conference on Agile Manufacturing Systems (ICAM-2011), Agra, India, Dec 18-20, 2011. Badiru, A. B., Invited presentation, “Linking Science and Sports for STEM Education: The Case of the Soccer Ball, Gravity, and Friction,” 2011 Dayton Engineering Sciences Symposium (DESS), Dayton, Ohio, Oct 24, 2011. Badiru, A. B., Technical Seminar,“Enhancing Technology Interfaces Using Project Management Techniques,” 2011 TechNet-Aero Convention, Dayton, Ohio, Oct 17-20, 2011. Badiru, A. B., Technical seminar, “Systems Framework for Communication, Cooperation, and Coordination in Emergency Response,” 4th CBRNE Research and Education Collaboration Symposium, Air Force Institute of Technology, Wright Patterson Air Force Base, Dayton, Ohio, Sept 21, 2011. Wu, Teresa; Som R. Soni, and A. B. Badiru, Contributed presentation, “Applying Memetic Algorithm to Design Forearm Crutch,” presented at Structural Longevity Forum, Orlando, Florida, July 26, 2011. Badiru, A. B., Invited technical seminar, Wellington Award Inaugural Lecture:- “Pareto Distribution Revisited: National Wealth Creation and Distribution in an Era of Globalization,” presented at Industrial Engineering Research Conference, Reno, Nevada, May 22, 2011. Badiru, A. B. and M. N. Goltz, “Holistic Systems Approach to Sustainability: Bridging Environmental and Social Dimensions,” in Proceedings of Industrial Engineering Research Conference, Reno, Nevada, May 22-25, 2011. Jones, Rochelle and A. 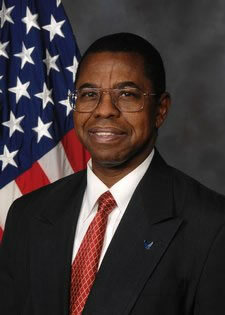 B. Badiru, “STEM Workforce Development for DoD Personnel: Using Mobile Devices for Distance Learning,” 2011 AETC Symposium, San Antonio, TX, 20 – 21 January 2011. Badiru, A. B., Invited Discussant on International Research Collaboration, World Academy of Science, Engineering, and Technology (WASET 2011), Paris, France, Aug 23-26, 2011. Badiru, A. B., “Advancements in Energy Technology: Implications for UAV Design and Development,” Invited Graduation Lecture, Nigeria Air Force Institute of Technology, Kaduna, Nigeria, July 29, 2011. Badiru, A. B., “What does Tenure Mean?” Faculty Development Seminar for AFIT Faculty, 9 June 2011. Badiru, A. B., Wellington Award Inaugural Lecture, “Pareto Distribution Revisited,” IIE Annual Conference, Reno, Nevada, May 22, 2011. Founding lecturer for the series. Badiru, A. B., Invited distinguished lecture, “Systems Value Modeling for Design Project Management,” University of Oklahoma, College of Engineering, Nov 5, 2010. Badiru, A. B., “D-E-J-I Model for Product Development,” AFIT-AFRL Product Development Research Symposium, Wright Patterson Air Force Base, November 12, 2010. Thomas, Marlin and A. Badiru, “Utilization of Industrial Engineers in the Air Force,” Air Force Air Education and Training Command (AETC) Symposium, San Antonio, TX, Jan 14-15, 2010. Badiru, A. B., “Half-Life Learning Curve Computations for Human Performance Enhancement,” presented at 2009 United States Air Trade and Technology (USATT) Expo, Dayton, OH, July 14-17, 2009. Badiru, A. B., “Earning Value to SAVE Projects,” in Proceedings of 2009 SAVE International 49th Annual Conference, Detroit, MI, June 29 – July 2, 2009. Badiru, A. B., Denise Jackson, and Greg Sedrick, “Functional Development of Performance Metrics for System of Systems,” in Proceedings of 2009 Industrial Engineering Research Conference (IERC), Miami, Florida, May 29 – June 3, 2009. Badiru, A. B., Ravindra Ahuja, and Ashish Nemani, “New Models and Algorithmic Approaches for Resource-Constrained Project Management,” in Proceedings of 2009 Industrial Engineering Research Conference (IERC), Miami, Florida, May 29 – June 3, 2009. Badiru, A. B., Jeremy Slagley, and David A. Smith, “Project Life Cycle Model for ABET Site Visit Preparation,” ABET Best Assessment Processes XI Symposium, Indianapolis, Indiana, USA, April 3-4, 2009. Badiru, A., “Project Management Tools and Techniques for Education, Training, and Research,” Air Force Air Education and Training Command (AETC) Symposium, San Antonio, TX, Jan 15-16, 2009. Badiru, A. B., “Differences between undergraduate and graduate education,” Graduate education seminar for AFIT faculty, October 1, 2009. Badiru, A. B., “Process Cost Control through Six Sigma Techniques,” Invited Lecture, Dept of Systems Engineering, University of Lagos, Nigeria, Dec 16, 2008. Badiru, A. B.; “World Citizenship and Global Economic Development,” Invited Seminar, Symposium on Democracy: Citizenship in the Age of Globalization, Westminster College, Fulton, MO, Nov 18, 2008. Badiru, A. B.; “Managing World Industrial Development Projects,” Invited Seminar, Symposium on Democracy: Citizenship in the Age of Globalization, Westminster College, Fulton, MO, Nov 18, 2008. Badiru, A. B.; “Industrial Project Management,” Invited Seminar for Dayton Chapter of the Institute of Industrial Engineers, Dayton, Ohio, April 26, 2008. Badiru, A., “Energy Requirements Planning for New Product Development: A Project Framework Approach,” 4th Annual Dayton Engineering Sciences Symposium, Wright State University, Dayton, OH, October 27, 2008. Badiru, A., “Half-Life Theory of Learning Curves for Project Performance Analysis,” INFORMS Annual Conference, Washington, DC, October 12-17, 2008. Nemani, Ashish, A. Badiru, and Ravindra Ahuja, “Mixed Integer Optimization Formulation for Critical Resource Diagramming Problem,” INFORMS Annual Conference, Washington, DC, October 12-17, 2008. Badiru, A. and G. Richard Freeman, “Project System Modeling and Simulation Approach to Human-Machine Resource Interface,” in Proceedings of 2008 Industrial Engineering Research Conference (IERC), Vancouver, Canada, May 17-21, 2008. Badiru, A., “Qualitative Approach to Engineering Project Optimization,” in Proceedings of 2008 Industrial Engineering Research Conference (IERC), Vancouver, Canada, May 17-21, 2008. Olunloyo, V. O. S.; Abayomi Ajofoyinbo; and A. Badiru, “An Alternative Approach for Computing the Union and Intersection of Fuzzy Sets: A Basis for Design of Robust Fuzzy Controller,” in Proceedings of 7th WSEAS International Conference on Artificial Intelligence, Knowledge Engineering and Data Bases (AIKED '08), Cambridge, UK, February 23-25, 2008. Note: This paper won best student paper at the conference. Badiru, A., “Survival Toolkit for Engineering Faculty,” Proceedings of 2008 ASEE North Central Section Conference, Dayton, OH, March 28-29, 2008. Badiru, A., "OR/MS Modeling for AFSO21 Process Improvement in US Air Force," INFORMS Annual Conference, Seattle, WA, Nov 7, 2007. Thal, Al; Shahady, David; Badiru, A.; and Bedingfield, John, "Incorporating Customer Values in Trade-Off Decisions," INFORMS Annual Conference, Seattle, WA, Nov 7, 2007. Badiru, A. “Communication, Cooperation, and Coordination Model for Process Improvement of C2 Projects“, Proceedings of DOD’s 12th International Command and Control Research and Technology Symposium (ICCRTS), Newport, RI, June 18-21, 2007. Badiru, A., Chuck Leakeas, and Sonia Leach, “MatLab-Based Modeling and Simulation of Large Project Networks,” Proceedings of 2007 Industrial Engineering Research Conference (IERC), Nashville, TN, May 18-21, 2007. Badiru, A., Chuck Leakeas, and Sonia Leach, “Dynamic Cyber Systems Forecast Scenario Planning and Simulation,” Proceedings of 2007 Industrial Engineering Research Conference (IERC), Nashville, TN, May 18-21, 2007. Badiru, A. B.; “Systems Engineering Approach to Global Health Care Delivery,” Keynote Address, 2007 Pilot Research Project Symposium, Education and Research Center (ERC), University of Cincinnati, Cincinnati, OH, October 11, 2007. Badiru, A. B.; “How to Succeed in the OR/MS Academic Profession,” Invited Distinguished Panelist, 2007 INFORMS Regional Conference, Northwestern University, Evanston, IL, August 24-25, 2007. Badiru, A. B.; “The Discipline of Social Responsibility,” Invited Graduation Speech, Operational Technology (OpTech) program, Air Force Institute of Technology, June 13, 2007. Badiru, A. B.; “Administrative Process Improvement Using Project Management Techniques,” AFIT AFSO21 Seminar Series, Air Force Institute of Technology, Dayton, OH, May 10, 2007. Badiru, A. B., LtCol David Smith, and Major Jeremy Slagley, “Contemporary Collaborative Research for Occupational Health,” Invited Seminar, College of Nursing, University of Tennessee, Knoxville, TN, April 20, 2007. Badiru, A. B., “Importance of Undergraduate Research in Science and Engineering Curriculum,” Keynote Speech, Central State University, Wilberforce, OH, April 14, 2007.